* Middle School Special Education/Math Intervention Teacher - Pro-Vision Educational Services, Inc. seeks full-time Middle School Special Education/Math Intervention Teacher for its established all male grades 5-12 charter school in Houston, TX. The Special Education/Math Intervention Teacher will provide students with appropriate educational programs and activities that will enable them to fulfill their potential for intellectual, emotional, physical, and social growth. Plan, organize, and assign activities that are specific to each student’s abilities. Maintain accurate and complete student records. Prepare student reports and activities. Be familiar with Response to Intervention (RTI) process and Tier’d Instruction. Collaborate with the math teacher and assigned classroom teacher(s) for instructional planning and delivery. Provide instruction to small groups of students. Assist in the scheduling and assignment of students to the program. Participate in training as required during school schedule and additional training outside designated schedule. Discuss with parents, teachers, counselors, and administrators individual educational plans and students’ progress. Coordinate and manage extracurricular duties as assigned. Sponsor outside activities approved by the Pro-Vision Academy Principal. Required: B.S degree or M.S. 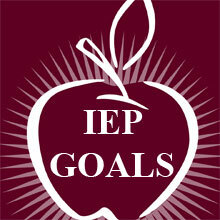 degree in Any Major and Certification by the Texas Education Department in Special Education. 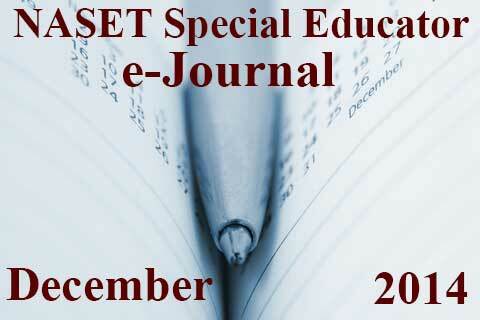 5 years progressive special education experience if B.S. or 3 years progressive special education experience if M.S. Knowledge of the following software/programs: Accelerated Math Renaissance Learning Program; Think Through Math; Fastt Math; and Istation. Reading/Intervention strategies. Research Based Instructional Strategies. Send Resumes to: Pro-Vision Educational Services, Inc. Attn: Carrie Tate, 4590 Wilmington Street, Houston, TX 77051. SESI is a private company that provides comprehensive special education services for students identified with various disabilities including, emotional/behavioral disabilities, intellectual disabilities, and autism spectrum disorders. Additionally, SESI provides alternative educational services for school districts needing assistance with students who display disciplinary issues. Often referred to as High Road Schools, our programs have created a therapeutic academic setting that includes positive behavioral supports, highly structured student protocols, and modified access to the Common Core Curriculum. The High Road School of Delaware is currently seeking one special educator for a newly opened elementary classroom. Special educator responsibilities include delivering and modifying the general education curriculum, administering formal and informal assessments, analyzing data, implementing school-wide behavior management protocols, home-school communication, development of academic IEP goals and objectives, and supervision of a teacher's assistant. Potential employees should be highly motivated to achieve student outcomes, flexible, have a good sense of humor, open to giving and receiving feedback, enjoy working as part of a team, and feel comfortable working an environment where students display severe behavioral issues. Applicants who are currently certified or eligible for certification in Special Education through the Delaware Department of Education will receive preferential consideration. Opportunity for personal and professional growth! Works with developmentally delayed children of American military families stationed overseas, in a home-based early intervention program. The Episcopal Center for Children (ECC) is a private, nonprofit, non-denominational day treatment facility for emotionally troubled children and their families from the greater Washington, DC area. The program is designed for children between the ages of 5 to 11 years and with sufficient cognitive ability to benefit from the program. Acceptance is based on the needs of the children and families, regardless of religious affiliation, race, or financial status. The goal of treatment, therapeutic milieu, and individualized special education programming is to empower each child to function productively within his/her family and the community, to return to his/her public school, and have a real opportunity for a successful, emotionally healthy, and productive future. The ECC's programming is based on the core belief in children, their strengths, and in what they can be. The incoming Executive Director will report to and work collaboratively with the Board of Directors in leading ECC to sustain its fundamental purpose while focusing on its long-term vision. The incoming Executive Director will succeed Mr. Alan Korz who is retiring after many years of dedication and excellence. The ECC is seeking an effective leader to continue and build on the work of the past five decades, engaging in a comprehensive strategic plan and advancing ECC's mission. The successful candidate will be a consummate relationship builder and serve as the voice and face of the organization. Candidates must have a master's degree in social work, clinical psychology, special education, or a related field with demonstrated knowledge of child development and growth, at least 10 years experience in child and/or adolescent mental health delivery, at least five years experience in an administrative or supervisory capacity, and demonstrated leadership, management, and fundraising success. To apply, email a cover letter, resume, and salary requirements to barbara.ramundo@gmail.com at RCG Executive Search (email applications are required). Please include ECC Executive Search in the Subject Line of email messages. The Executive Director job description will be emailed upon request.